approximately 6,000,000, or 21 per cent, were in the labor force, compared with almost 150,000,000 million people without a disability, for a 68 per cent participation rate. Discrimination is prohibited under both New Jersey’s Law Against Discrimination (the LAD), and the federal Americans With Disabilities Act (the “ADA”. New Jersey’s Law Against Discrimination considers a wide range of conditions to be “disabilities,” thus providing a far more extensive scope of coverage than the Americans With Disabilities Act. New Jersey’s courts have expressly ruled that a disability does not need to be severe. Examples demonstrating this wide scope of coverage include court rulings that the following are protected disabilities: obesity; alcoholism; heart attacks; back ailments; varicose veins; cancer; removal of the kidneys, adrenal glands, lymph nodes and ribs; mastectomies; coronary bypass surgery; alcoholism and other substance abuse; gender dysphoria; transsexualism; and shoulder and arm injuries. Indeed even perceived handicaps are protected. Disability discrimination in any manner is prohibited under both acts. However, disability discrimination generally falls into three areas – direct adverse termination actions, harassment, and failure to accommodate. Second, an employer may not harass an employee because of her disability to the point of creating a severe or pervasive hostile work environment. Examples of harassment include name calling, offensive remarks about the employee’s disability, public (in front of co-workers or customers, etc.) criticism or yelling, inconsistent treatment (for example, giving a work schedule which is more inconvenient that those given to non-disabled employees, or denying training opportunities), intentional exclusion from critical work meetings or social functions; displaying offensive materials at work; unfair or disparate denial of vacation; threats of discipline or firing; and physical violence or intimidation. The third form of prohibited disability discrimination is the failure to reasonably accommodate a disabled employee’s disability. The idea is that the employer must figure out a reasonable accommodation so that the employee can do her job, if such a reasonable accommodation is available. It is a violation of both New Jersey’s Law Against Discrimination and the federal Americans With Disabilities Act for an employer to fail to reasonably accommodate an employee’s disability, provided that the employee can still do her job with the accommodation. However, not all accommodations are reasonable. This is a fact sensitive determination. Some of the factors which are considered to determine whether an accommodation would be “reasonable” are the size of the employer and the number of its employees, the cost associated with the accommodation, and how it would affect the workplace and the other employees in it. Thus, what is reasonable for a large multinational corporation might very well be unreasonable for a small “mom-and-pop” store. To meet its duty to reasonably accommodate an employee’s disability, an employer must engage in what federal and New Jersey courts call the ” interactive process.” Once the employer knows that an employee may have a disability, its requirement to engage in the interactive process to find a reasonable accommodation is triggered. However, the responsibility to engage in the interactive process is a two way street. The employee must notify the employer of the disability and likewise also engage in the interactive process. The interactive process is a two way dialogue between the employer and employee to determine the extent of her disability, what work she can perform, what workplace accommodations would allow her to perform her job, and whether any of these accommodations are reasonable. Examples of accommodations which New Jersey and federal courts have found to be reasonable under certain circumstances include: The making the facilities accessible by ramps or new equipment; job restructuring; telecommuting; part-time or modified work schedules; or transfer to a new position. McLaughlin & Nardi’s employment attorneys have many years of experience successfully representing New Jersey employees who have suffered discrimination or harassment because of their disability. Call us at (973) 890-0004 or e-mail us to schedule a consultation or visit our website. We are conveniently located in Totowa, New Jersey, near Paterson, Wayne, Clifton and Montclair, New Jersey. 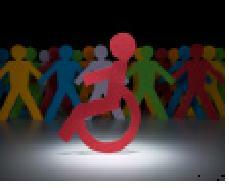 Tagged: "Disability discriminiation" and "handicap discrimination and New Jersey employment lawyers"